Number of people : up to 8 people. You have already visited the highlights of the beaches, and watched “Band of Brothers”. 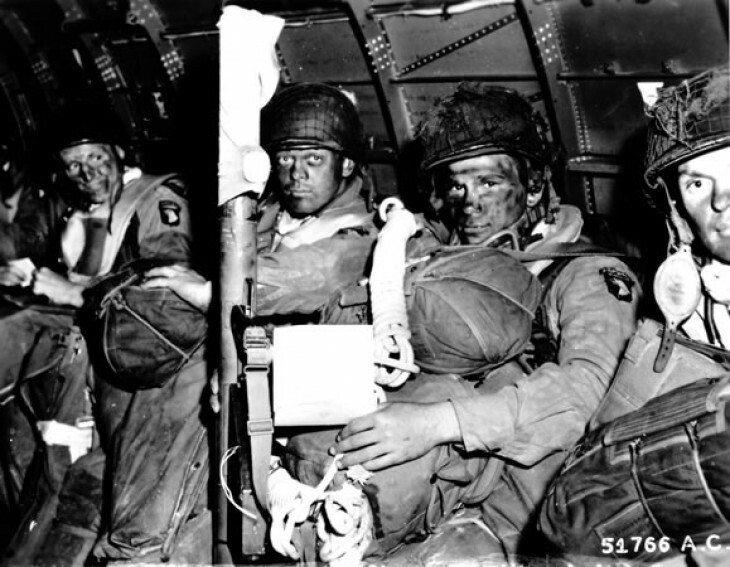 Follow your specialist guide to discover what the 82ndand 101st Airborne paratroopers accomplished on D-day. They had to jump by night and because of the bad weather, they ended up scattered. Nevertheless, they succeeded in securing the western flank of the invasion, often at the price of their lives. We will drive through many local villages in the hedgerow countryside. You will hear so many incredible stories such as the way Lt Winters captured the gun battery of Brécourt Manor with only a few men and also the role played by the Easy Company in the liberation of Carentan. All of these actions will make you realize the extraordinary courage of these 15.000 troopers and the terrible sacrifice paid there.